Our books provide an evergreen content asset for use across your demand generation channels, in-person and trade show events, and often serve as the foundation of a segmented content strategy. 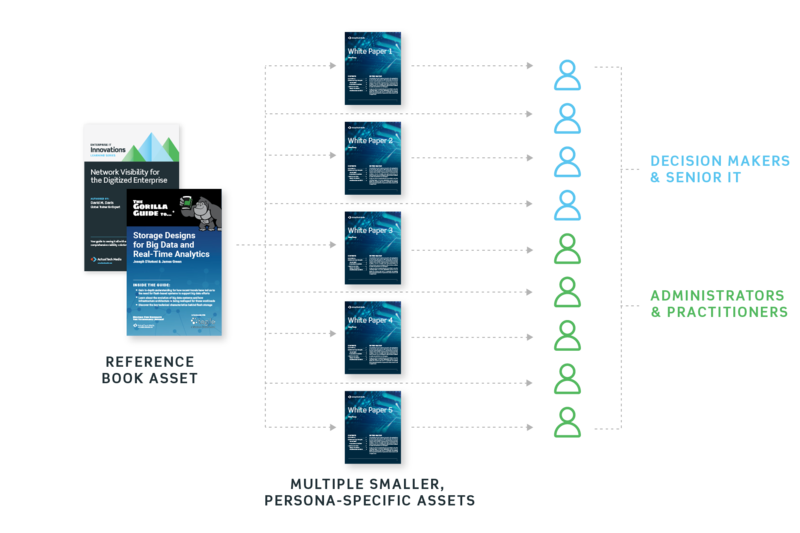 Each of our book lines are uniquely designed to reach different segments of your prospect audience with content from technical concept explanation to detailed solution overviews. Any book idea you’ve dreamed about! 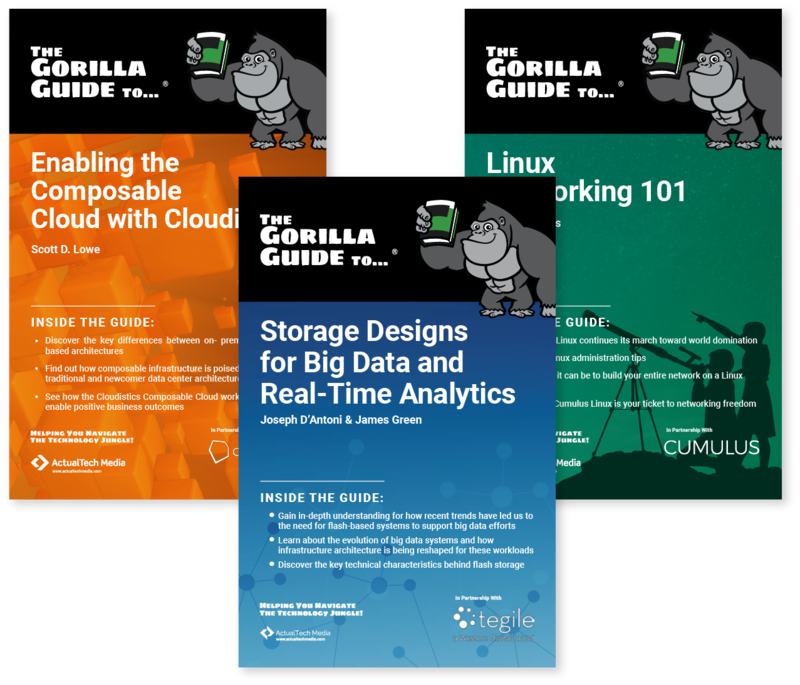 The Gorilla Guide series of 40- to 70-page books is dedicated to helping readers navigate the increasingly dense technology jungle. In each book, readers will be guided along a journey of discovery as they read about new technologies and how these technologies fit into the existing landscape. Each Gorilla Guide book features a series of icon-based callouts to help ensure full understanding of the subject matter. 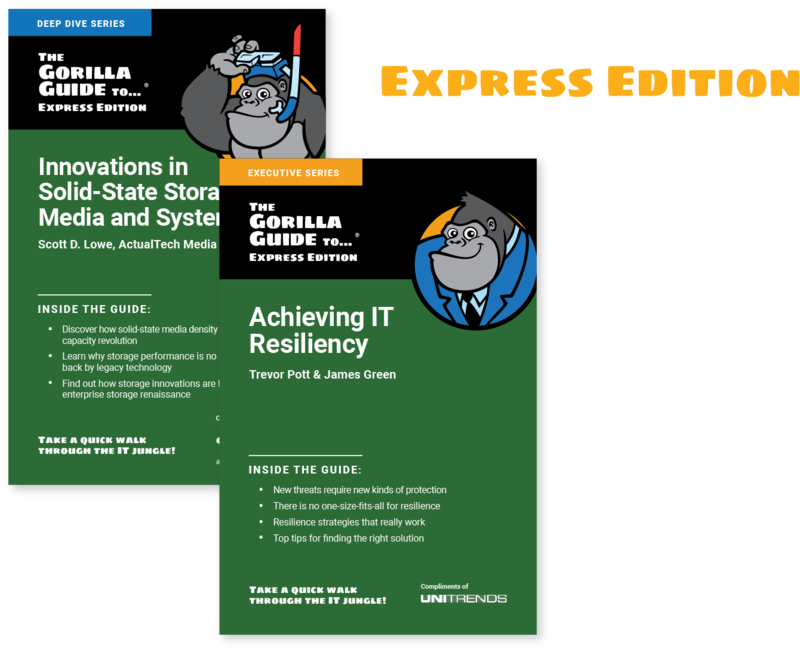 The Gorilla Guide is the perfect evergreen asset if your goal is to establish your company as a thought leader in a market space. In the Gorilla Guide, the focus is on the technology, with some emphasis on the sponsoring company’s products. Wherever appropriate, Gorilla Guide authors – via a custom callout – will highlight the ways by which the sponsoring company’s products can be used to solve a particular problem. The market’s hottest whitepaper alternative! This excellent educational asset quickly explains the value of your solution, and does it in a fun, appealing way. These assets are highly customizable so we can help you to always hit the mark. This is delivered as both a white paper or ebook as well as in a 4” x 6” print form. We’ll even send along 500 print copies that you can give away at conferences! 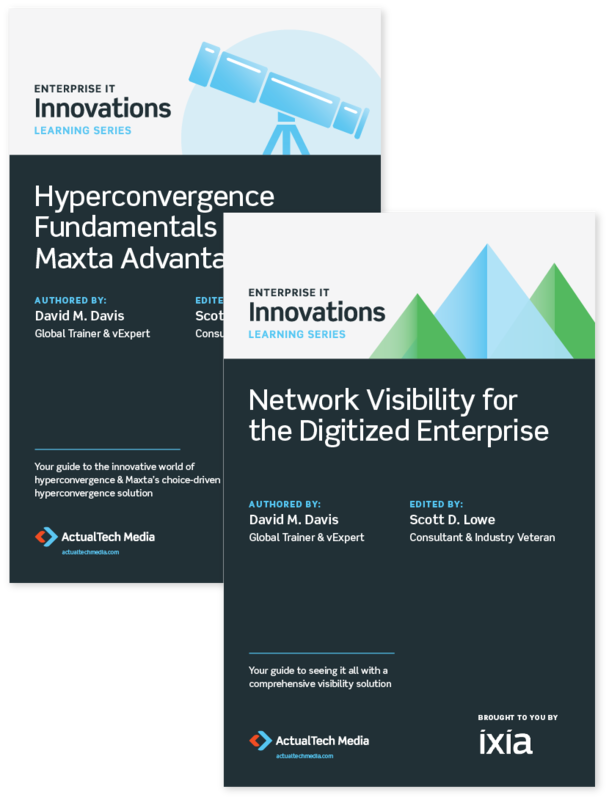 Expertly authored by ActualTech Media’s stable of data center technology authors, Innovations series books range in size from 40 to 70 pages, covering the technology topic in detail before moving on to illustrate and explain how your solution solves the data center challenge your target market is facing. A brand new whitepaper alternative in addition to the Gorilla Guide Express! This excellent educational asset quickly explains the value of your solution, and does it in a fun, appealing way. Additionally, these assets are highly customizable so we can help you to always hit the mark. Custom Book Authorship & Design Available! Our whitepaper programs include two-to-four-page Analysis papers or Architecture Briefs, effectively short-form content assets that provide readers with an introductory overview of where your company and solution fits in the market or a look at the general architecture that defines your product. 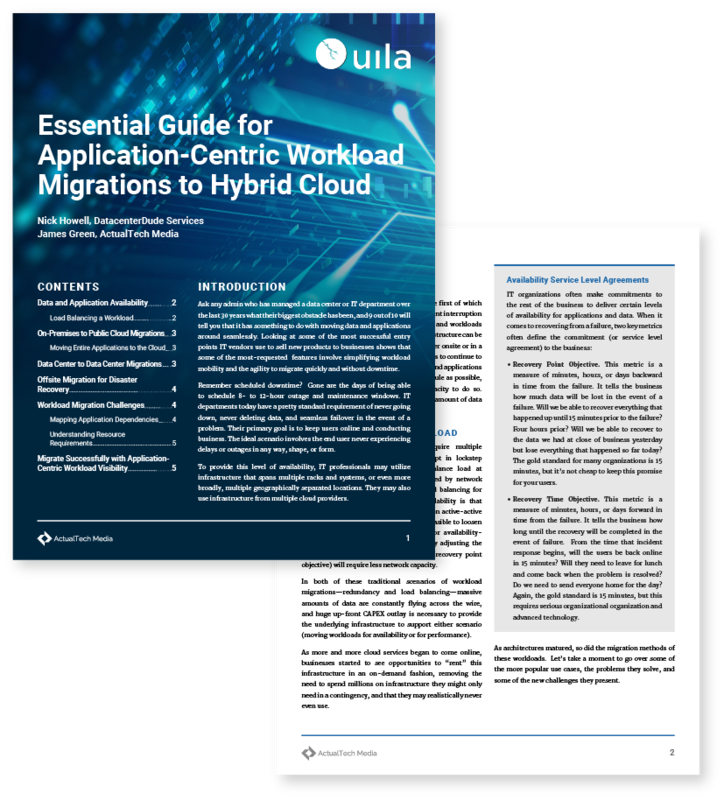 More in-depth papers include our six-to-eight-page Technical Briefs that allow you to discuss in-depth the technical aspects of your solution and is targeted at a technical audience. In addition, our Executive Brief option is targeted at IT decision makers and provides a use case and business-centric view of what you’re working on. No matter what your whitepaper needs, we can assist you to develop an asset that excels in the education and demand generation phases of your prospect’s buyer’s journey. ActualTech Media can design, develop and host a complete technology education microsite with a unique URL and populated with a series of compelling blog posts, white papers, and ebooks. In conjunction with you, we will identify and procure an appropriate domain name and host the site at our dedicated WordPress hosting service. After launch, you can continue to engage us to create content for the site on a continuous basis to keep feeding it to expand its audience, reach, and lead count. Get in Touch With us For a Book Quote!